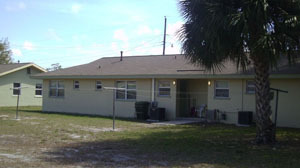 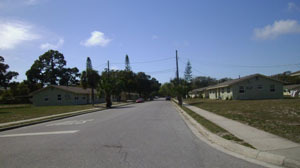 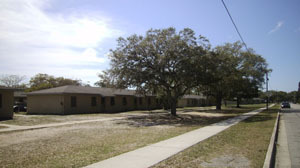 Orange Avenue Apartments – Once known as Newtown Homes, these 60 apartments are colored blue, salmon and tan, and are home to OCB’s only two-floor apartments. 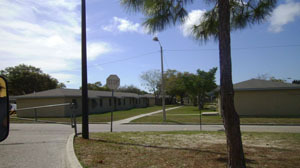 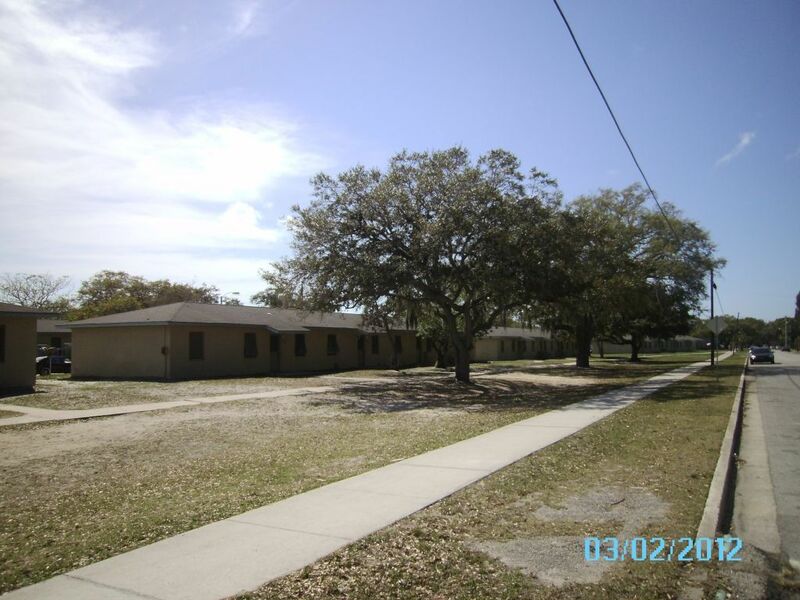 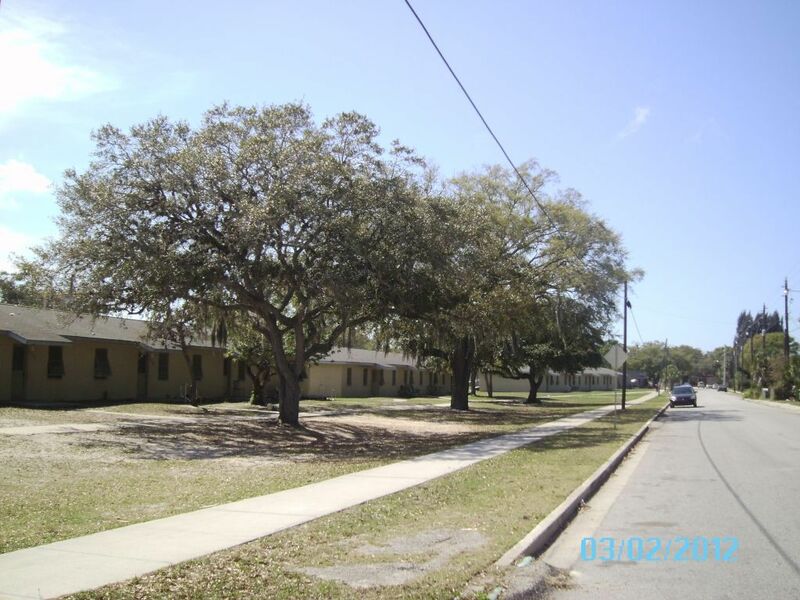 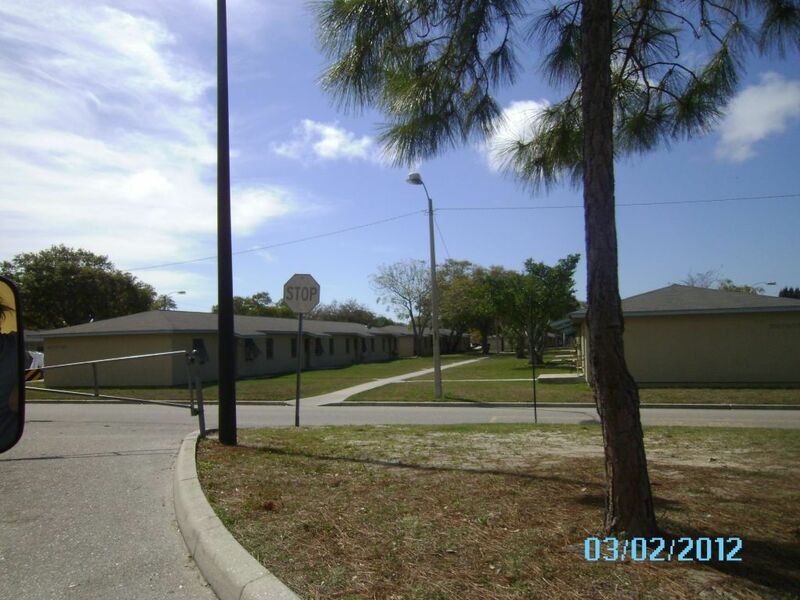 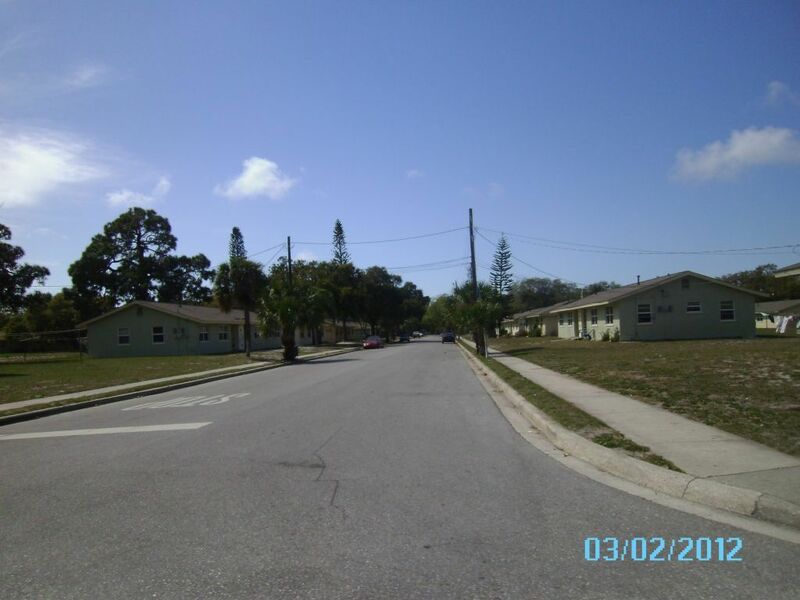 The Courts – 100 duplex-style apartments, many with off-street parking at your front door. 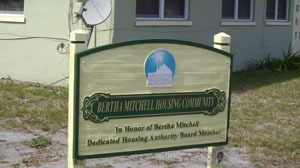 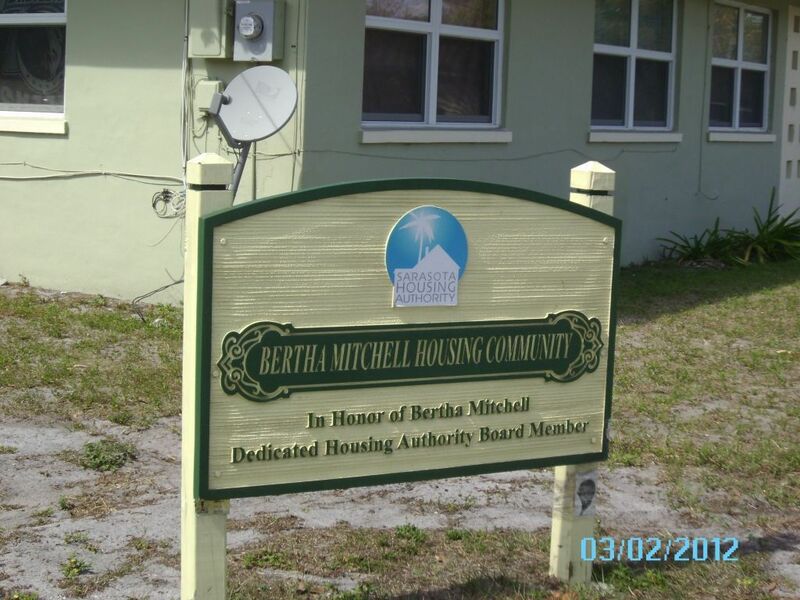 Bertha Mitchell – 100 duplex-style apartments, many with off street parking; new kitchens, new central air conditioning, new energy efficient windows and exterior doors. 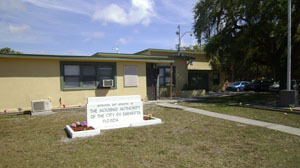 Full-time, on-site resident services staff facilitate getting residents training and education, and completing volunteer community service hour requirements. 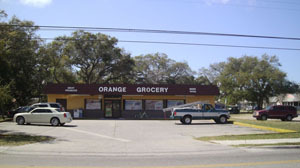 Orange Avenue Grocery, a community convenience store, is on-site. 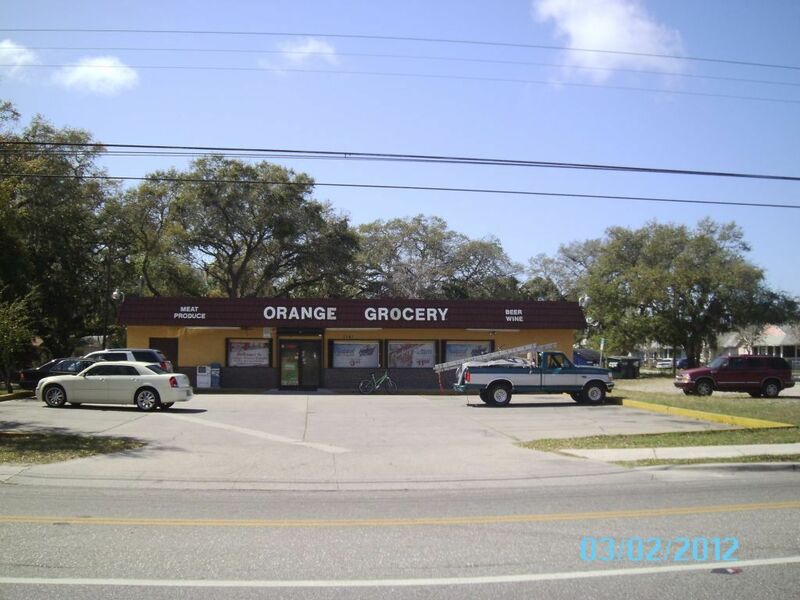 Publix super-market less than one mile away, directly on a bus route. 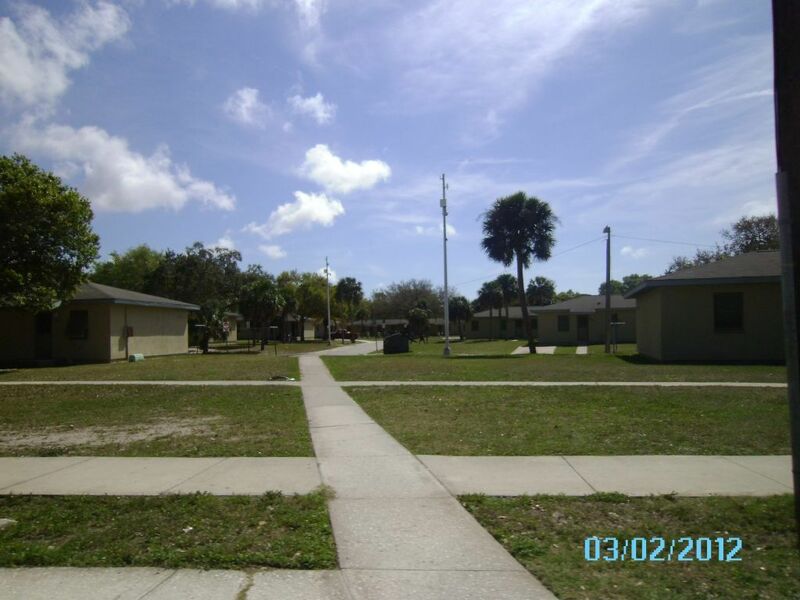 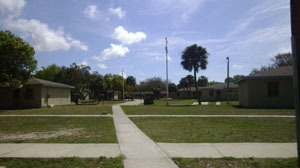 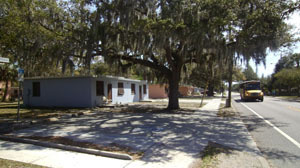 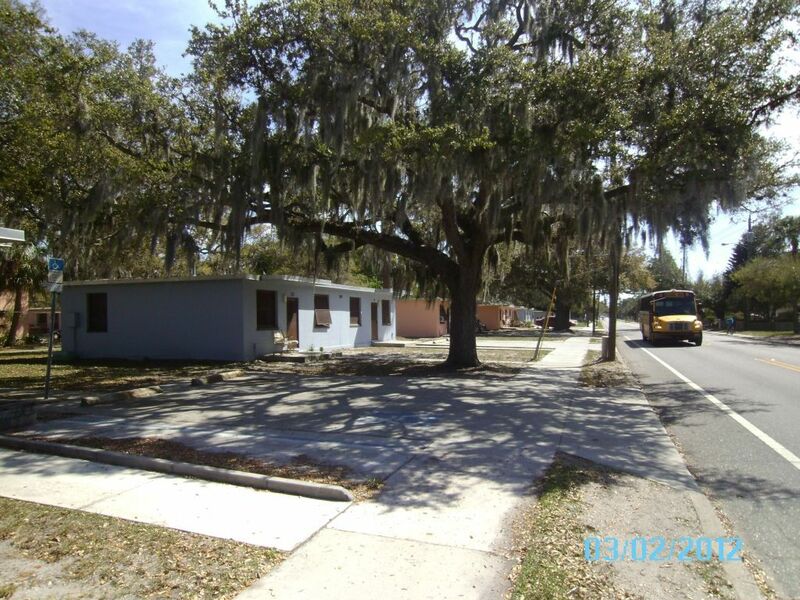 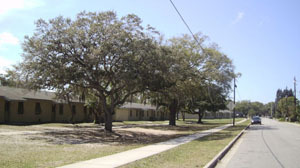 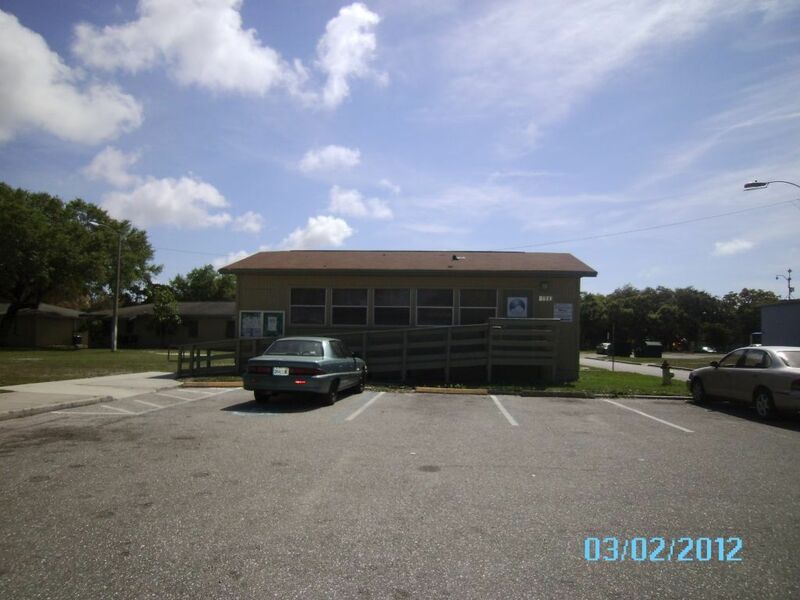 Bus stops on-site, directly in front of the Housing Authority office. 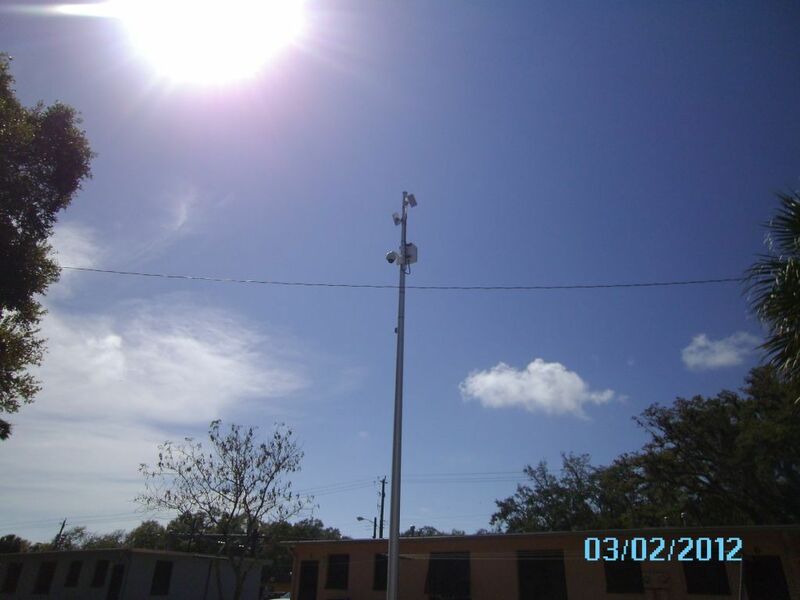 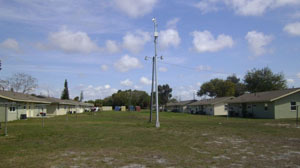 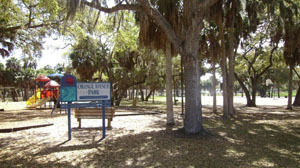 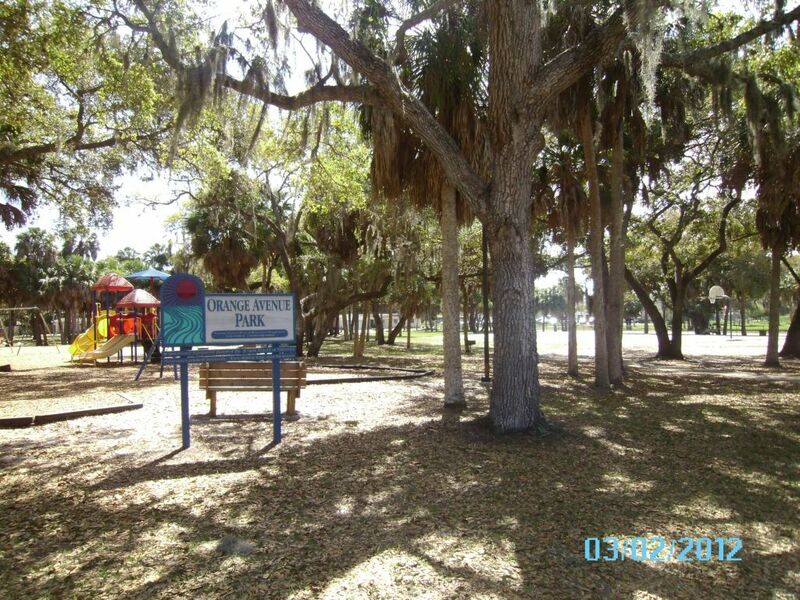 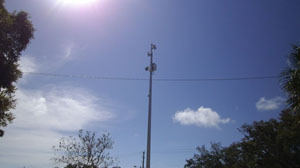 Orange Avenue Park (picture) is on site. 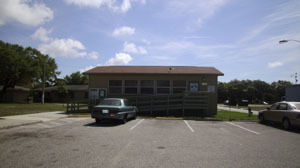 Children First Day Care is also on site, just next to the office. 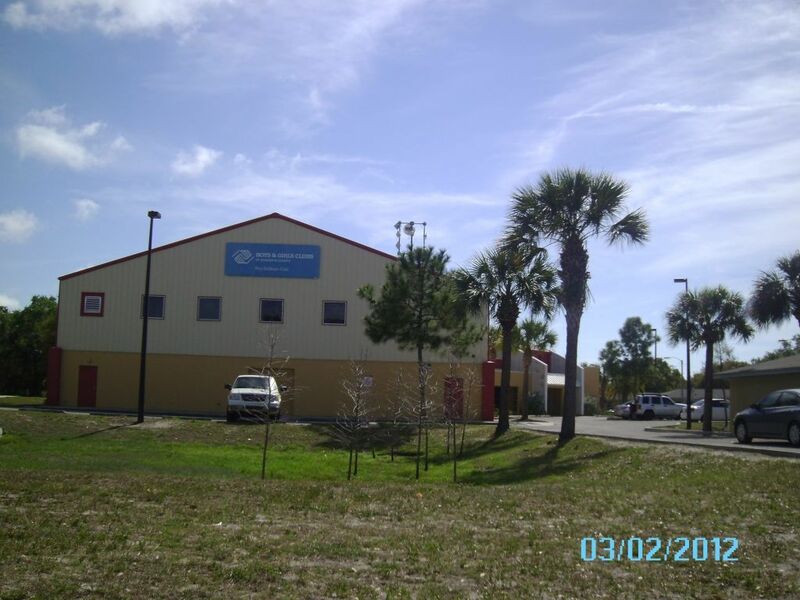 The Salvation Army and many GoodWill Locations are nearby to help residents in need. 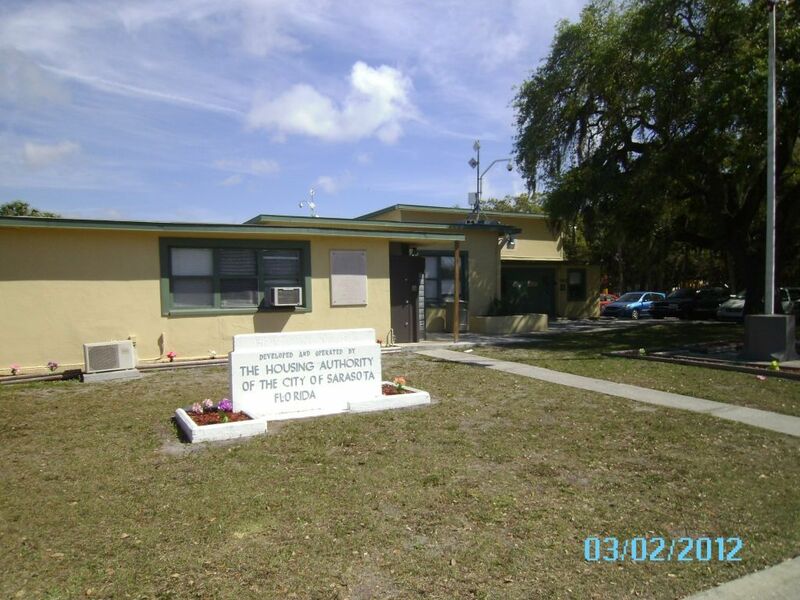 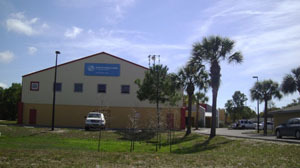 Ringling College of Art and Design is a short walk away, (0.5 miles). 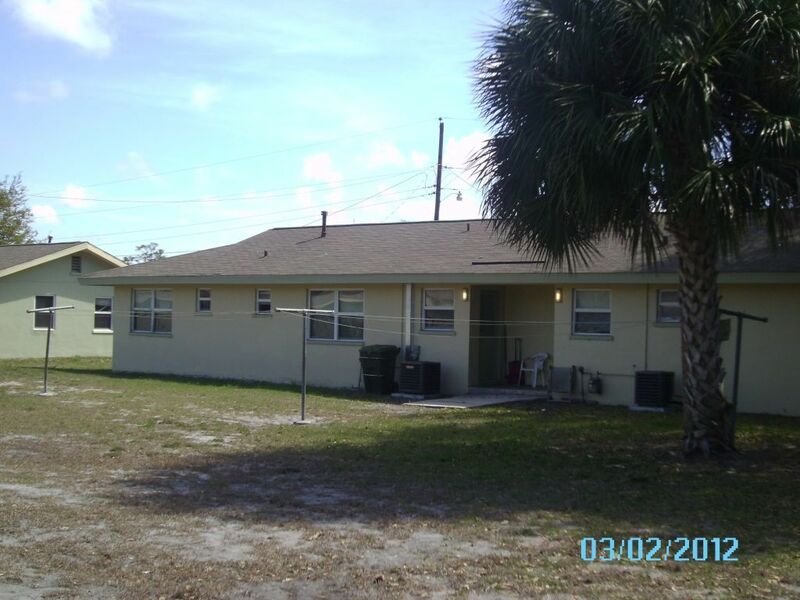 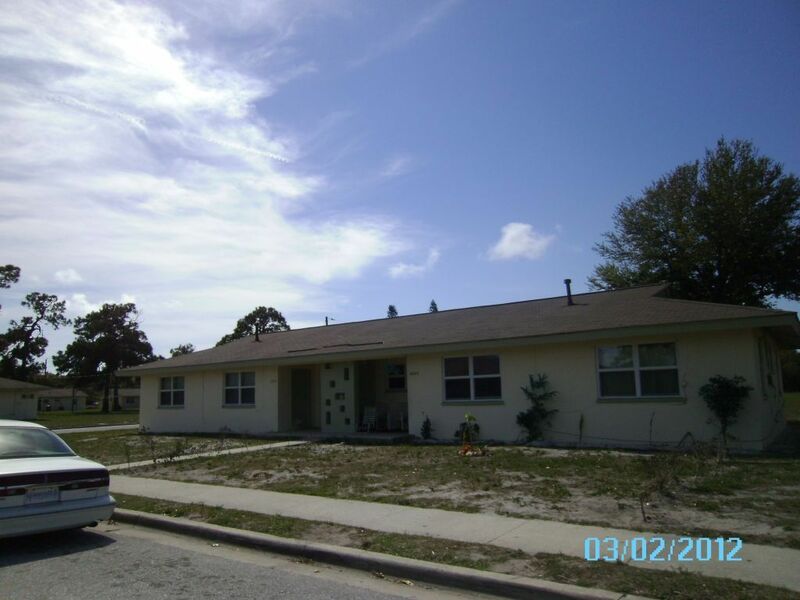 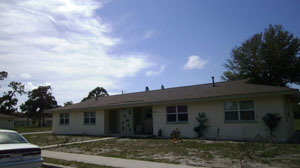 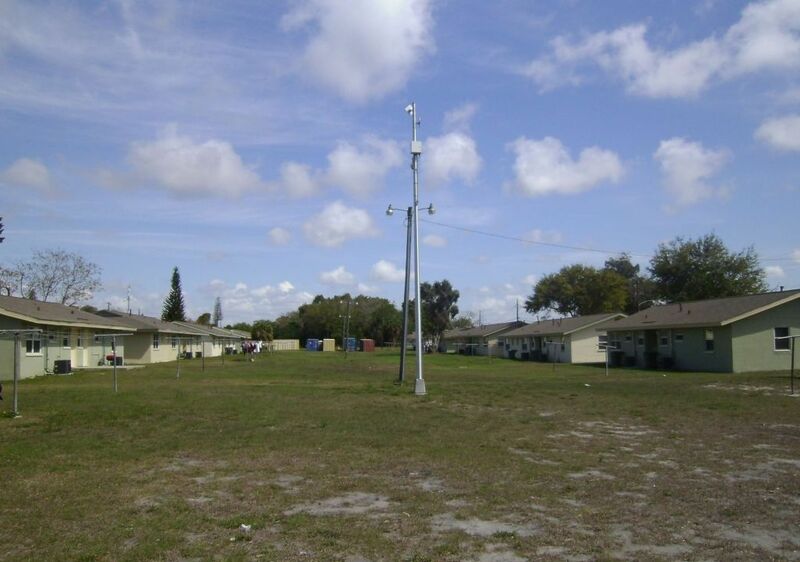 Number of units in this property: 260, sized 1 to 5 bedrooms.